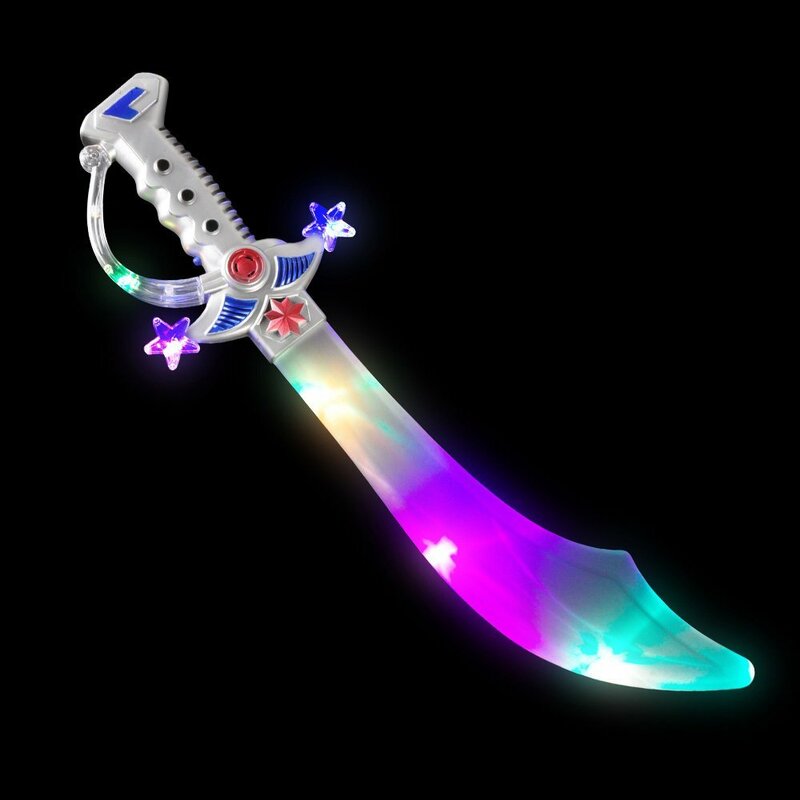 This 42" Double-Sided Flasing Multicolor LED Skull and Bone Sword provide hours of fun for the young pirates. 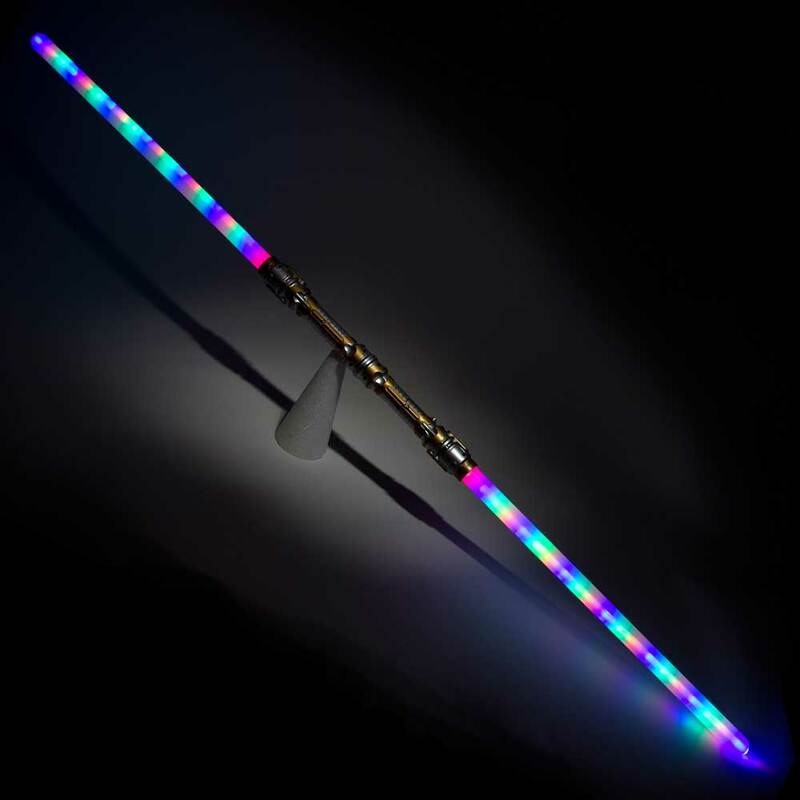 Enjoy a multi color light show rising from the white plastic blade combined with sound.. Great asset for your roll-playing games and parties. A favorite at raves, concerts and parties. Kids and adults go nuts over these. Perfect for a range of costumes such as pirate, warrior and Viking. 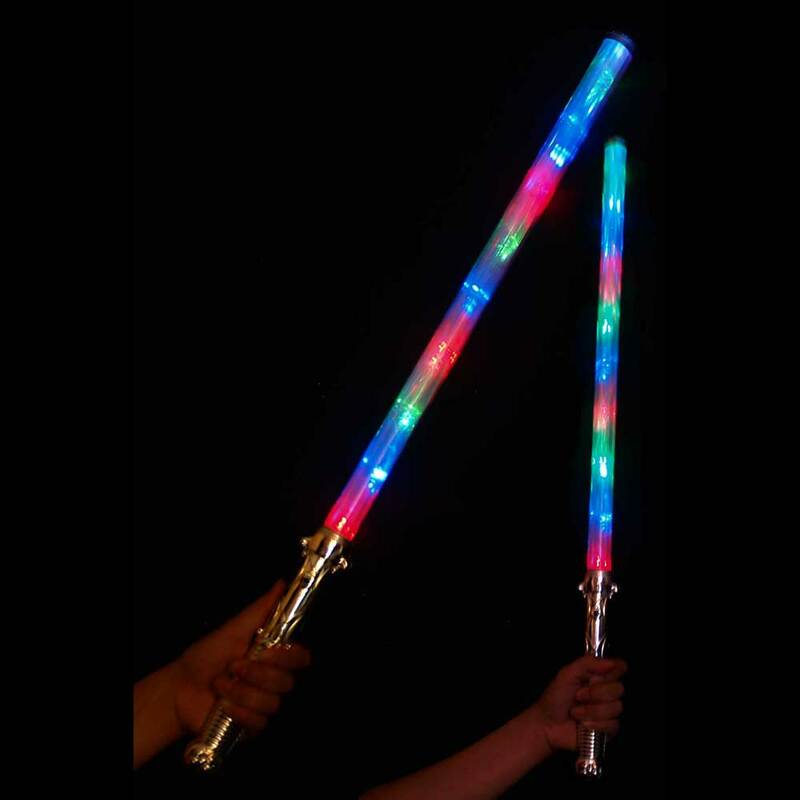 Great for every day fun, as a light-up accessory for a costume or for any party. With your mighty swing (and a quick press of the button) the sword will produce light and sound! 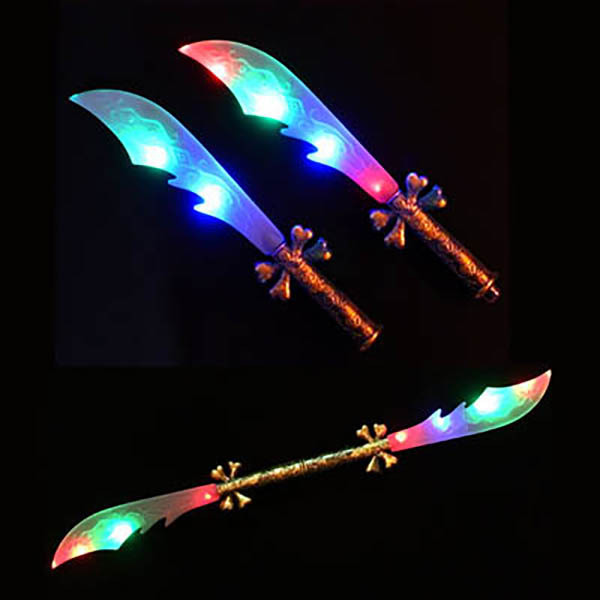 Connect them both together to create a unique LED weapon that your friends will admire. Makes great gifts, costume additions and party favors! 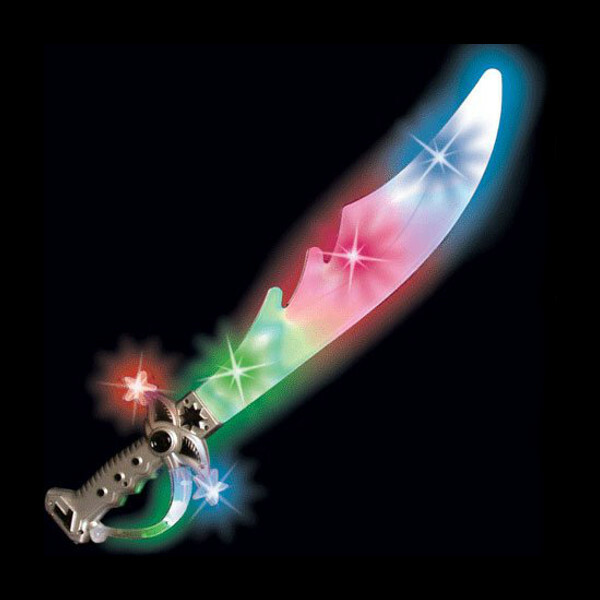 Raves - Spin this sword around for amazing effects. Remove plastic tab from both pirate swords and press on the button conveniently located below the base of the sword (cross-guard) to activate the sword and light it up with sound. Press again on the button to rotate through the flashing modes and again to turn off.